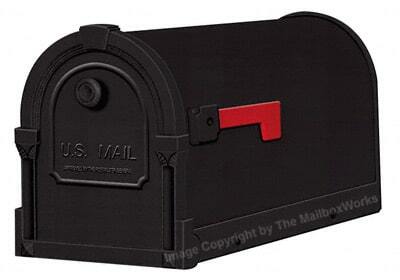 Town Square Locking Mailbox with Bradford Post blurs the lines between traditional and contemporary for a look that is at home anywhere. 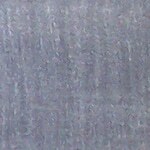 Constructed of solid cast aluminum and powder coated for a rust proof, virtually maintenance free finish. 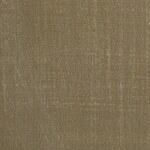 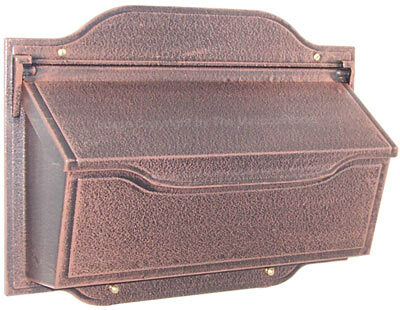 Shown here in Frosted umber, this unique locking mailbox comes in 12 exciting colors and finish options. 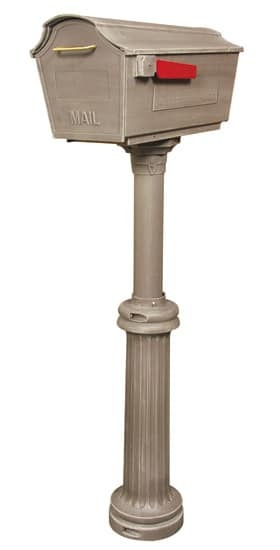 Chip and fade resistant Bradford pedestal style post has a wrap around sculpted base kit for added architectural appeal and will last for years of use and enjoyment. 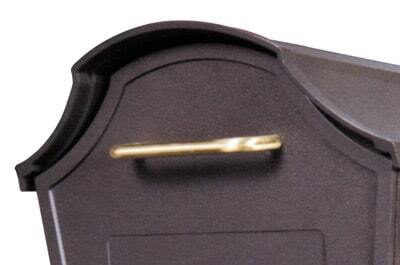 Rustproof hinges and magnetic catches secure the mail access door. 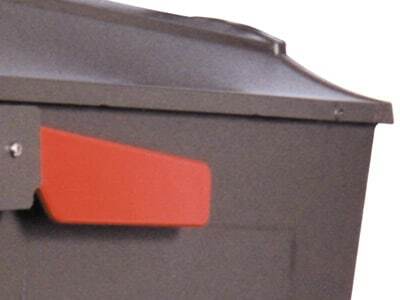 Inside locking mailbox insert has an angled overhang to stop unwanted hands from reaching in. 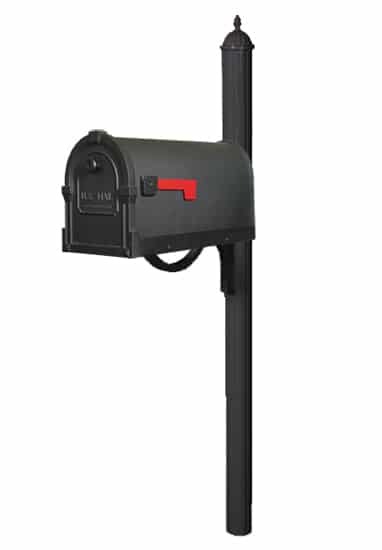 USPS approved Town Square Locking Mailboxes come complete with locking mailbox insert with 2 keys like the one shown below, decorative pedestal style Bradford Post and assembly hardware. 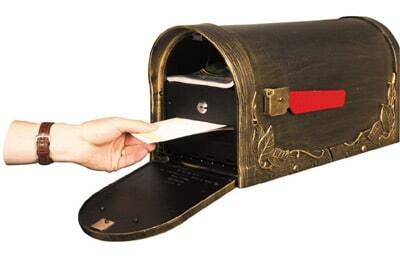 You’ll love the convenience and mail security this estate style locking mailbox offers.